Sunshine State – Page 2 – Fun In The Sun! Comic Con is almost upon us, gang! 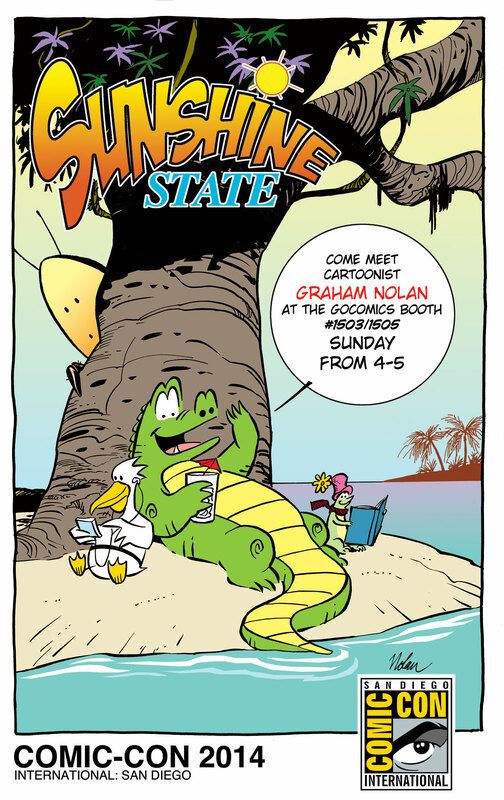 Come by and meet me and get a free Sunshine State poster signed at the GoComics booth # 1503-1505 on Sunday between 4:00pm and 5:00pm! 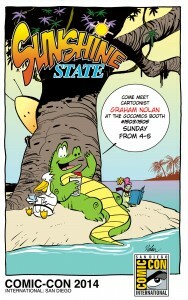 And if you wanted to bring conch fritters and beer for your favorite cartoonist that would be ok too. Why not enjoy today’s strip with your Monday cup of coffee? You can order yours today!